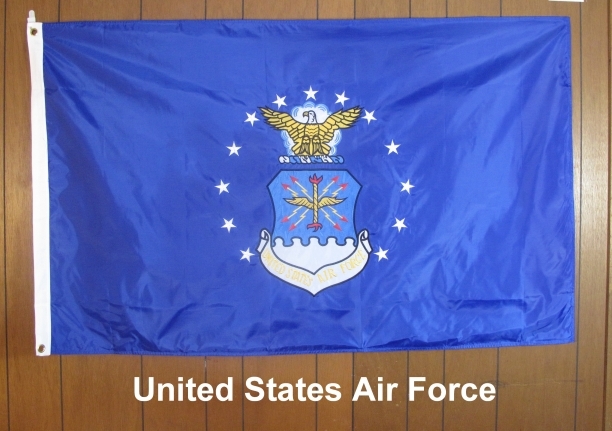 Double sided Nylon 3'X5' Embroidered Air Force Logo flag. Wonderful for parades. Satisfaction guaranteed. 100 % refundable for 10 days upon receipt.